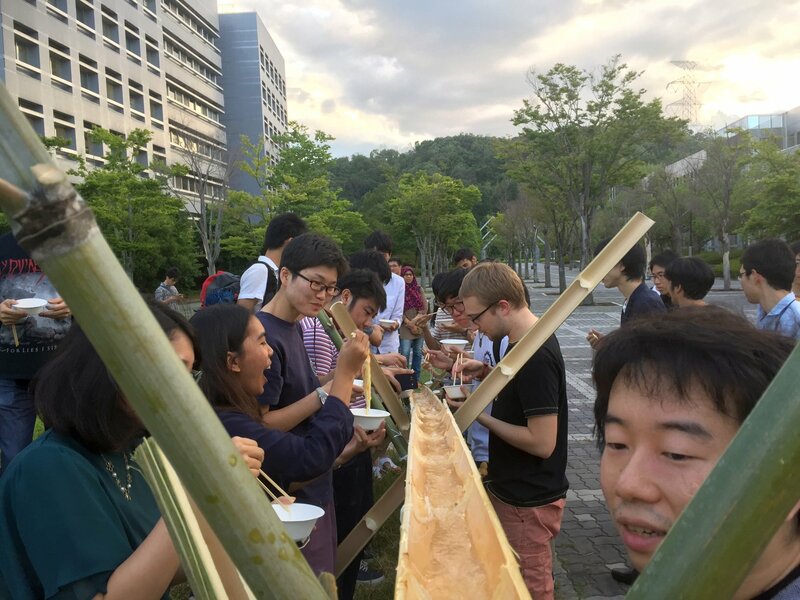 The NAIST Global Student Network (GSK) hosts Nagashi-Soumen events on campus to celebrate the summer and enjoy being outside, for a change. 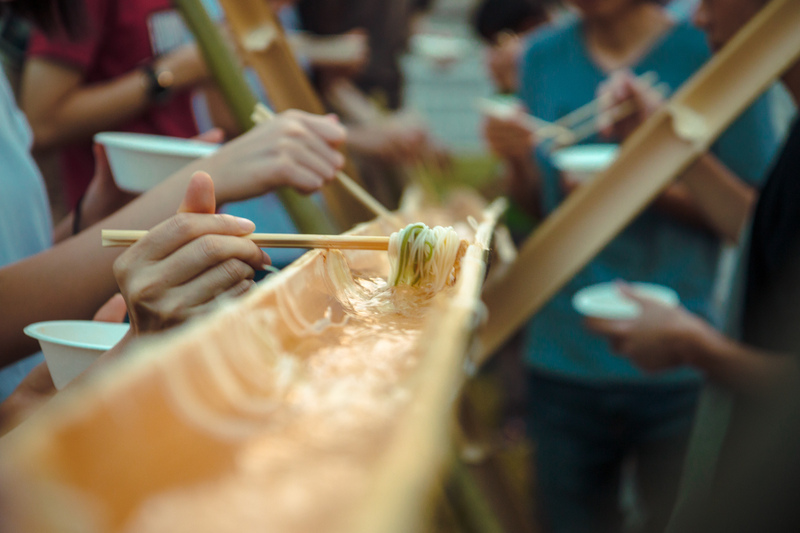 Nagashi-Soumen is a popular Japanese dish and summer activity, in which thin noodles flow down a stream of cold water in a length of bamboo and participants catch them with chopsticks. The noodles are then dipped in tsuyu, a light sauce, and devoured with pleasure. Endless fun for all ages! 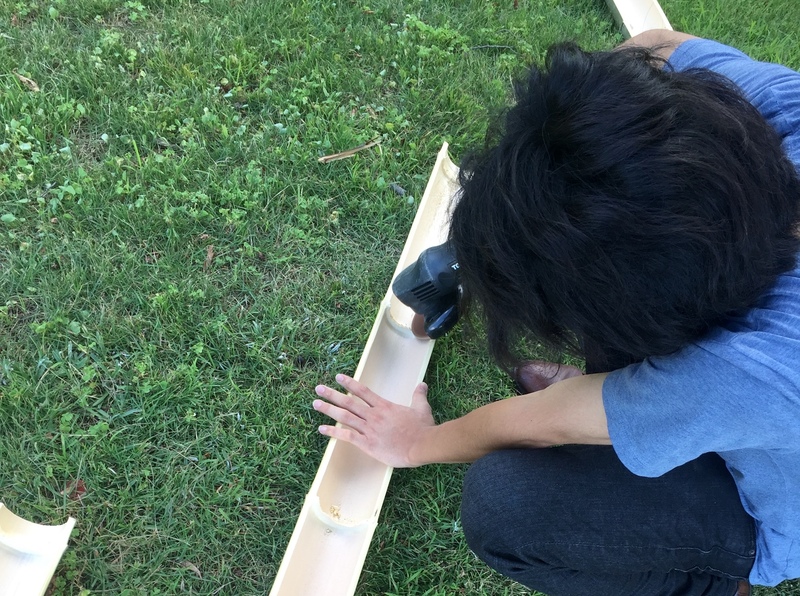 M1 student Wada testing the freshly made bamboo construction. 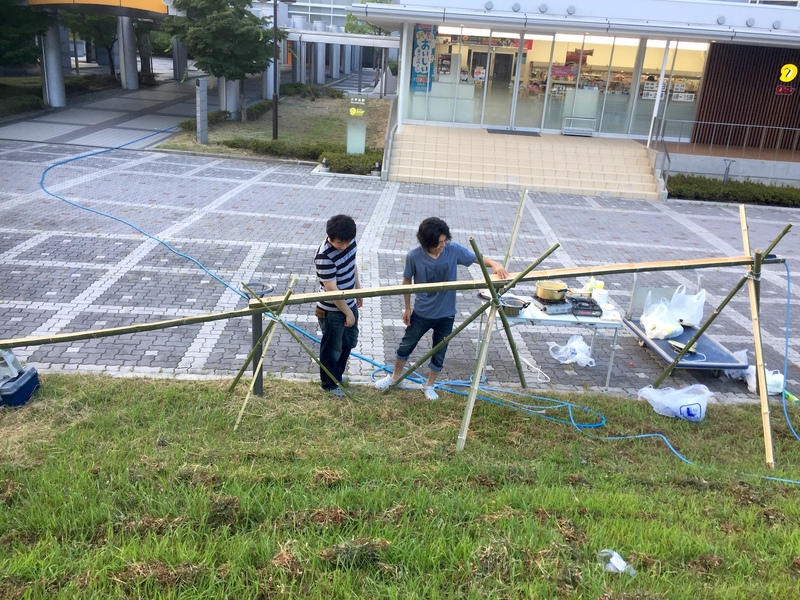 After splitting the bamboo, the nodes are removed to allow the water to flow. Nagashi-Soumen is easy, as long as you have the materials. For this party, the materials came from the nearby bamboo forest, which also supplies the raw material for the local tea whisk artisans. Did you know that bamboo tea whisk production is a historical trade of the area, and over 90% of tea whisks produced in Japan come from the township of NAIST? Ridiculous, but true. 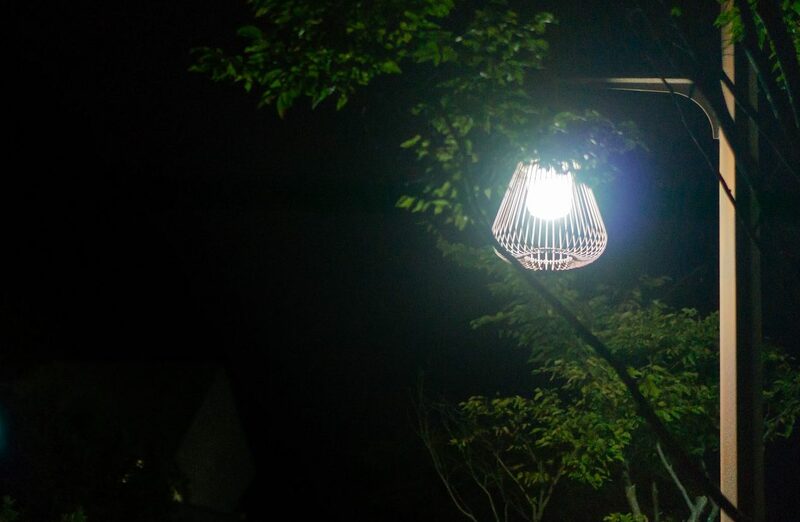 Even the street lights in Takayama are modelled after tea whisks. D1 student Takatani preparing Soumen on three stoves. The soumen are cooked for just 2 minutes, then cooled off quickly and kept in ice water, until they ride down the bamboo, are caught with chopsticks and meet their fate in the mouth of a pleased attendant. Dropping the noodles on the floor is traditionally punished by short glances from your neighbors and silent judgment of your chopstick skills. 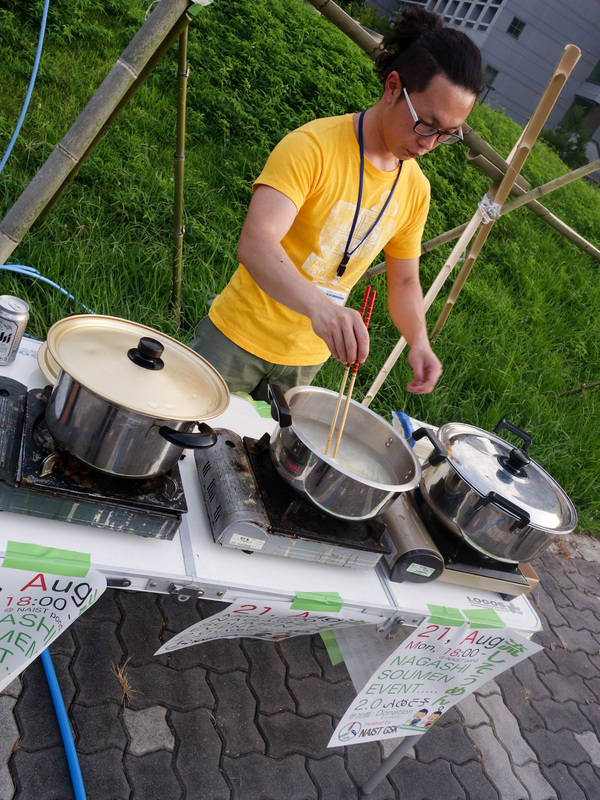 The noodles are put in by hand at the start of the stream. Catching the soumen from the stream requires some dexterity. A normal summer day in Japan. The event was sponsored by voluntary donations from the attendants as well as the extra from the Recycle Market. Happy NAIST GSK members after the successful event. 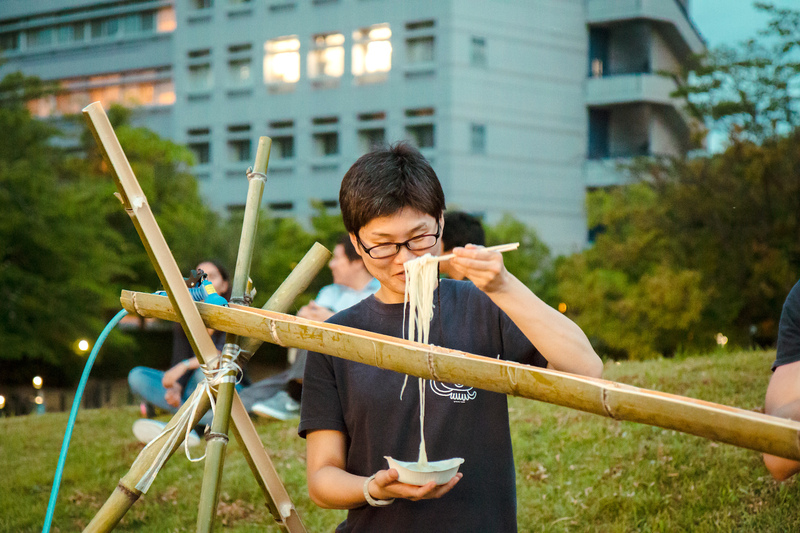 Would you like to inhale some tasty noodles from a bamboo stream? 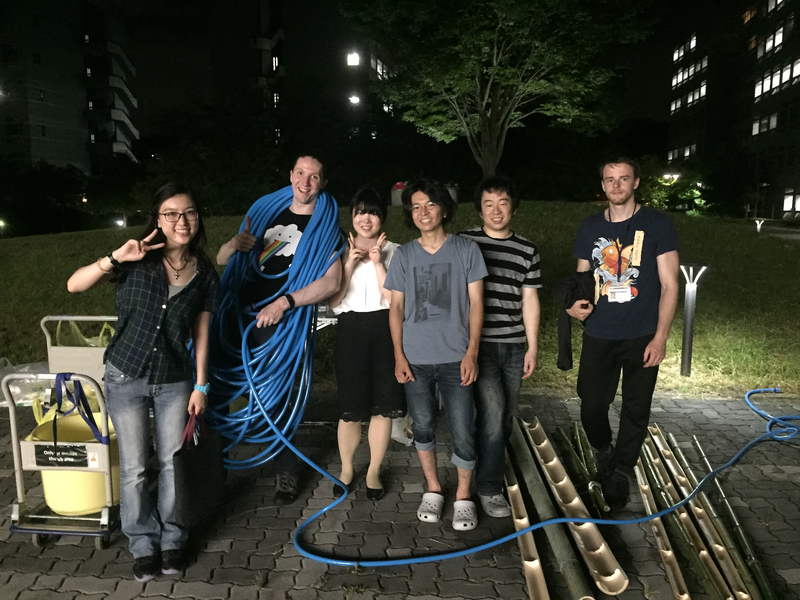 Then join us at the last Nagashi-Soumen event that is planned for September. 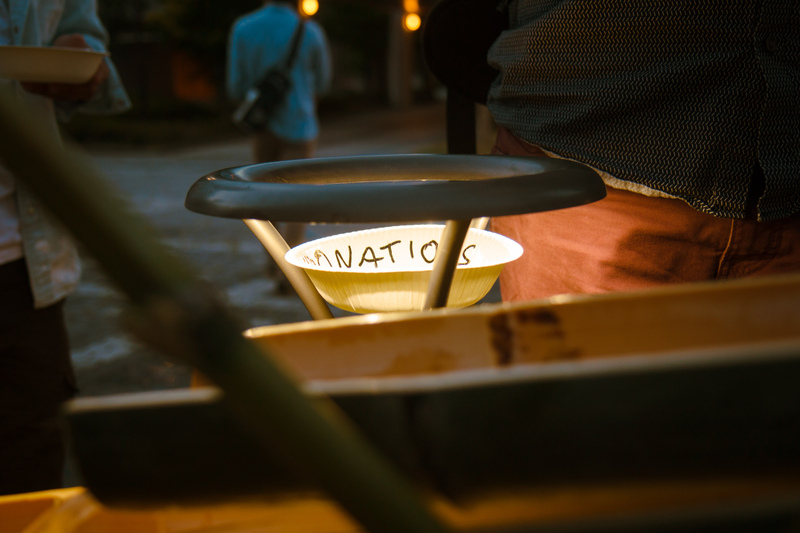 Stay up to date on upcoming campus events here and at NAIST GSK. Previous PostTEAM NAIST-PANASONICはアマゾンロボティクスチャレンジ2017に参加します!Next PostWhat’s up, Doc?